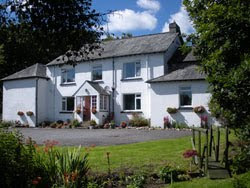 Cherrybrook Hotel: Top Ranked Pet Friendly B&B on Dartmoor! Top Ranked Pet Friendly B&B on Dartmoor! Yes, out of the 157 B&B and Inns on Dartmoor that have been reviewed by tripadvisor guests, we are now ranked No 1 of those being Pet Friendly! If you have visited us within the last year and had meant to give us a great review, but never quite got around to it, it isn’t too late to do so now. Just click on the link above and write that great review - thank you in advance, it's much appreciated!